Fun With Cousins – But Only Two Books | What is ML Reading? ML’s cousins visited last weekend. Forty eight hours of fun, but only two books read out loud to them. I planned to share at least five. Want to know what kept this from happening? 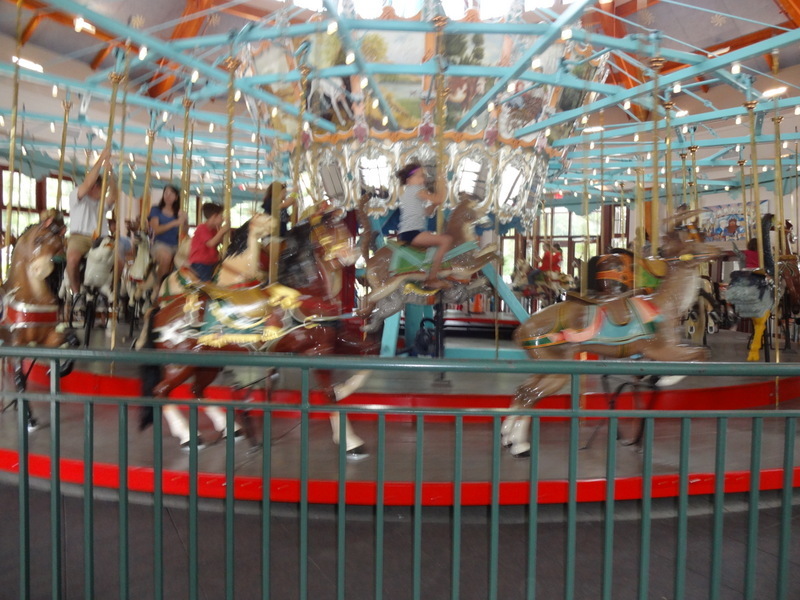 Visiting a local park to ride the train and spin around on the historic carousel built in 1911. Lunch at our favorite cafe. Feeding the fish in the koi pond at the local garden store. An elevator ride to the top of one of the few skyscrapers in our growing city. A trip to the cupcake shop riding the free bus that circles downtown to get there. Dinner at a restaurant where fresh seafood has been served since 1931. 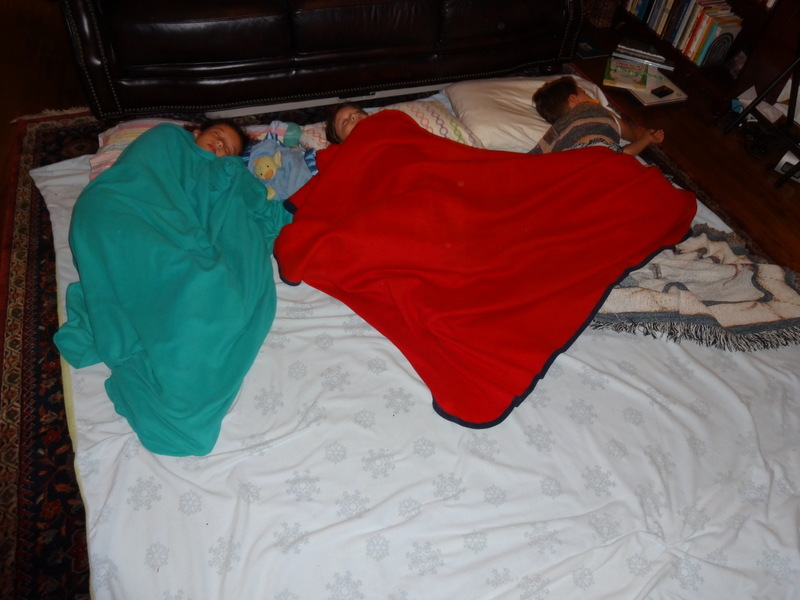 A sleepover with cozy blankets on the floor with lots of whispering after lights out. Visiting two rival colleges roughly ten miles apart. My brother attended one. I the other. Lunch at a famous restaurant that serves some of the best southern cooking in the world. 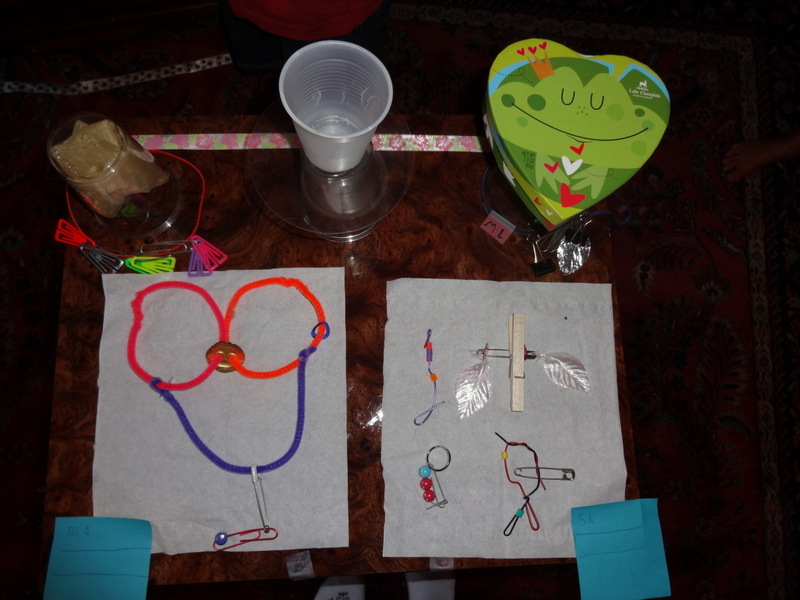 Lots of creative play by two seven-year-old girls and one four-year-old boy. The creative play idea began in a law firm office. My brother visited with his former colleagues. Not much fun for three active children. Until one of the lawyers, who has grandchildren, gave them free reign with his office supplies. Tape, rubber bands, paperclips. He even let them rummage through his desk drawers looking for more. When we arrived home the first afternoon, it was raining cats and dogs. ML found the office supplies and craft materials. They closed the door to her bedroom and got to work. Somewhere along the way they decided to sell their wares to their parents, aunts and uncle. They played this game three different times. Making items on Friday afternoon; then selling them to us. Saturday morning they woke up first and started making items to sell. When my brother and his wife arrived from the hotel, the store opened. Then, they chose to go home to make and sell more things Saturday afternoon, instead of getting cupcakes or ice cream. See why we only read two books? 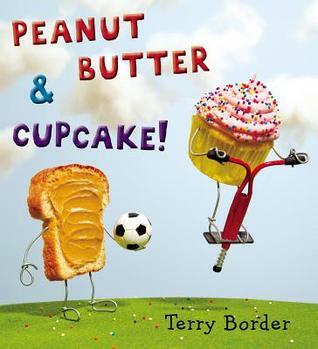 Peanut Butter & Cupcake by Terry Border was a hit with them. To get an idea of this self proclaimed Humorist, Photographer and Earthling’s sense of humor check out “My Many Tries At My First Book Cover.” I’m mad I didn’t discover this post about the books his publisher passed up on. A peanut butter filled take on famous children’s books before their visit. 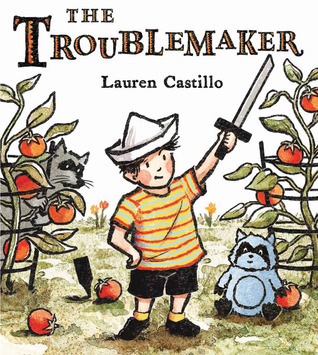 The other book we read was The Troublemaker by Lauren Castillo which I shared with you recently. We watched the video that sparked the idea for the book. If you haven’t seen it, you are missing out on a huge laugh. This entry was posted in Picture Book and tagged Lauren Castillo, Peanut Butter & Cupcake, Terry Border, The Troublemaker by mlreads. Bookmark the permalink. What a truly wonderful weekend it must have been! So glad ML gets together with her cousins, aunt and uncle! Cousins are your first best friends! Worth just getting to read a couple of books for the extra special times they got to share! Agreed. Wished they lived close enough we could have sleepovers with Aunt Kerri and ML more often.